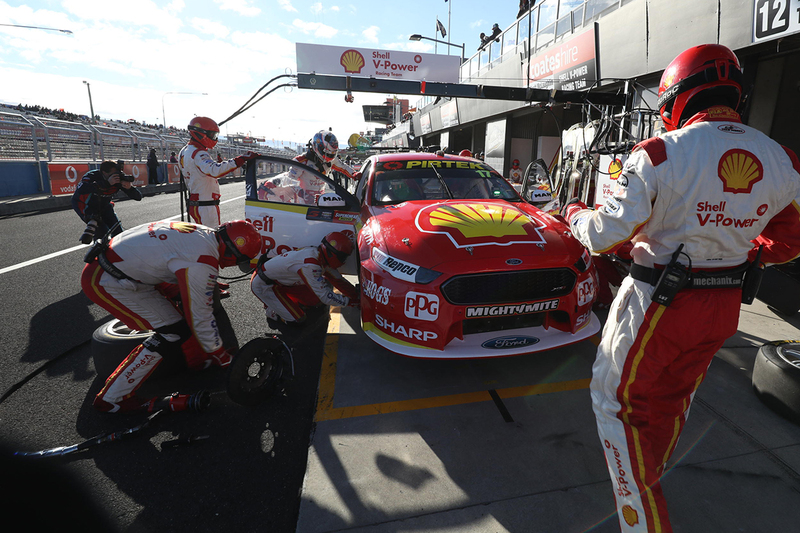 Shell V-Power Racing's Scott McLaughlin set the pace in the Sunday morning warm-up session for the 2018 Supercheap Auto Bathurst 1000. McLaughlin turned a 2:04.9634s to finish 0.1962 seconds ahead of the Tickford Falcon of Chaz Mostert. The 20-minute session was the last before the 2018 Great Race at Mount Panorama, and run in dry and cool conditions. It passed without incident, other than a brief red-flag period to retrieve a coat that had fallen onto the track surface. Teams used the warm-up to practice full race pitstops, including the front brake disc changes that are compulsory this year. After polesitter David Reynolds, Paul Dumbrell and Jack Perkins had spells at the top, McLaughlin went fastest with eight minutes left. His initial 2:05.0533s was eclipsed by a subsequent 2:04.9634s that was not beaten. McLaughlin and Alex Premat, who suffered an engine failure in the 2017 race, will start fifth later on Sunday. The Supercheap Falcon of Mostert/James Moffat was second, from the Mobil 1 Boost Mobile Racing and Red Bull Commodores of James Courtney/Perkins and Jamie Whincup/Dumbrell. 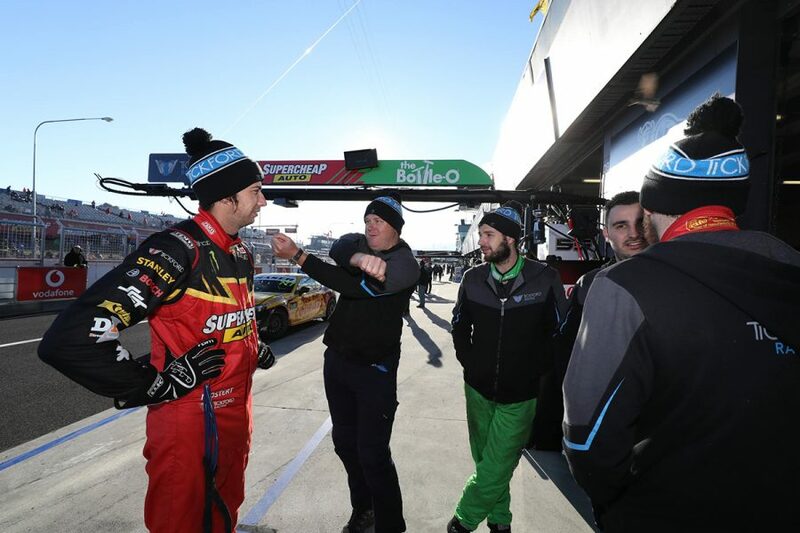 Shell V-Power Racing made a wholesale damper change on the Fabian Coulthard/Tony D'Alberto Falcon mid-session, ultimately setting the fifth-fastest time. After starring in Saturday's ARMOR ALL Shootout, Anton De Pasquale was sixth, with Penrite Erebus team-mate Reynolds ninth. Reynolds and Whincup will share the front row at 11:10am, with De Pasquale and Shane van Gisbergen on the second. Van Gisbergen was last when the chequered flag came out in the warm-up, having just gone off at the final corner, but improved to 16th. Garth Tander and Chris Pither were seventh, ahead of the Nissan of Rick Kelly/Garry Jacobson, which had early power-steering problems. Behind Reynolds/Youlden, Craig Lowndes and Steven Richards rounded out the top 10. “The car then was really nice to drive,” Lowndes said. “It’s a credit to the boys after the problems we’ve encountered the last couple of days with the power steering. The 161-lap 2018 Supercheap Auto Bathurst 1000 starts at 11:10am AEDT.